Click to view the full photo album. 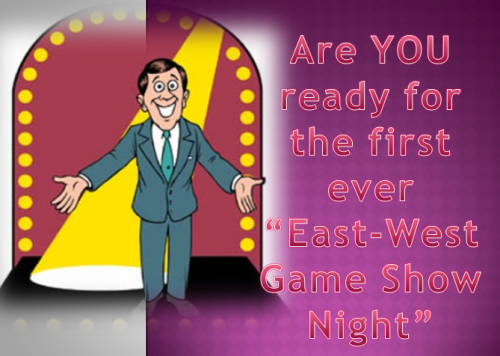 Students and community members are invited to the first ever East-West Game Show Night! Students will lead the audience in five games with several rounds, inspired by game shows such as Jeopardy, Wheel of Fortune, Guess Who, and Who Wants to be a Millionaire? Come and enjoy Student Government’s kick-off event for the year!